It's time for another Currently Listening To! A list of songs I've found myself playing over and over throughout the past couple months or so. As always I feel like a lot of these were influenced by films I watched. There's the IT soundtrack, songs from Call Me By Your Name, and a rediscovery of America's Sister Golden Hair which I heard for the first time in a while during a Miss Stevens watch. But there's also a running theme of some nice and chill songs which I had in the background while I was getting through dissertation reading - with some more upbeat bops to get me motivated. 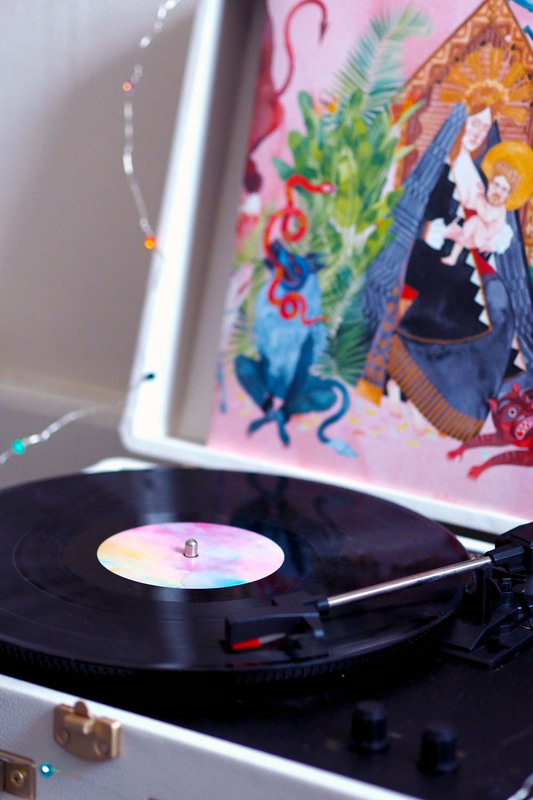 And of course, a song from my new Father John Misty vinyl (the prettiest thing ever! ), a lovely Christmas gift. Enjoy!